A significant amount of space in the Prius was devoted to cooking/eating supplies. 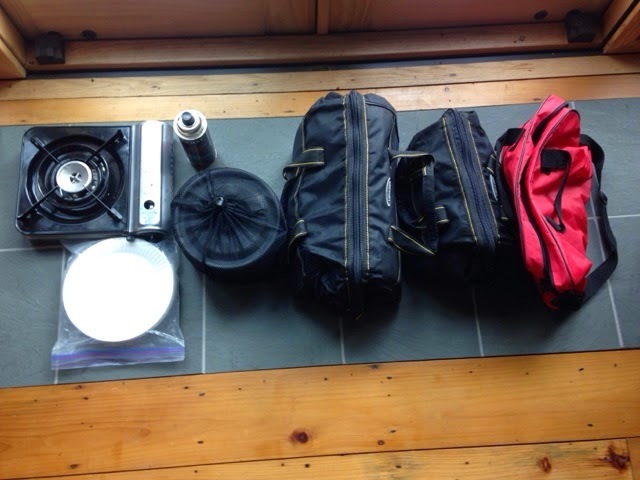 Left to right butane stove & spare butaine bottle, ziplock bag with paper plates, cooking set, large cooking supplied storage bag, small cooking supplies storage bag, dry goods bag. 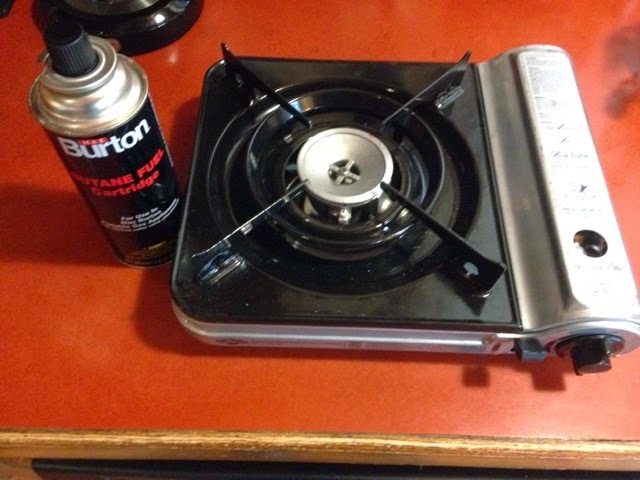 This stove worked great. 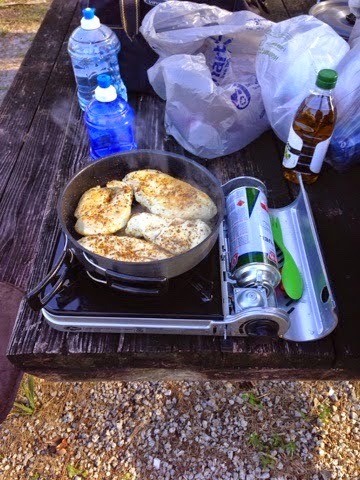 This trip was the first time I had used this stove and I will use it again on my next trip. 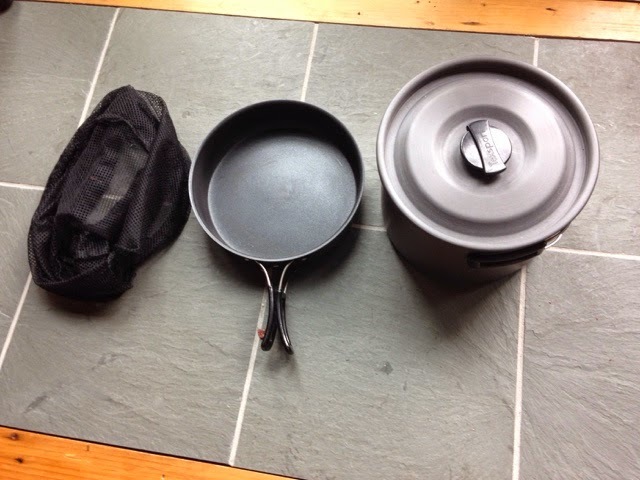 This cook set is large for one person but I chose it for the size of the frying pan and large pot. The frying pan was just right for a few pieces of chicken, a couple eggs, and stir fry. The extra chicken would be saved for another day. 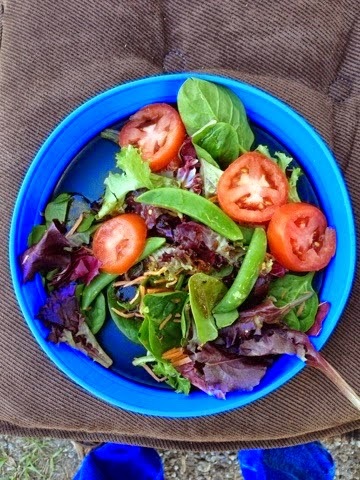 I tried to rotate my food every day. 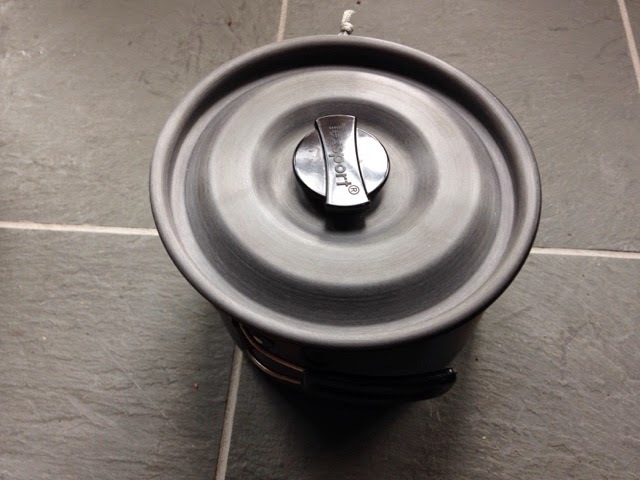 The large pot was big enough for cooking spaghetti and making hot water for the large thermos. I didn't use the small pot at all. 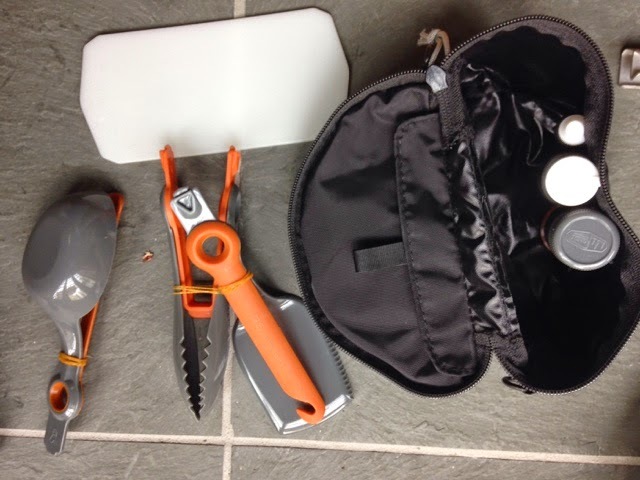 The pieces nestled together and the small pot held a dish towel in the bottom, two ceramic bowls and this backpacker kit below. 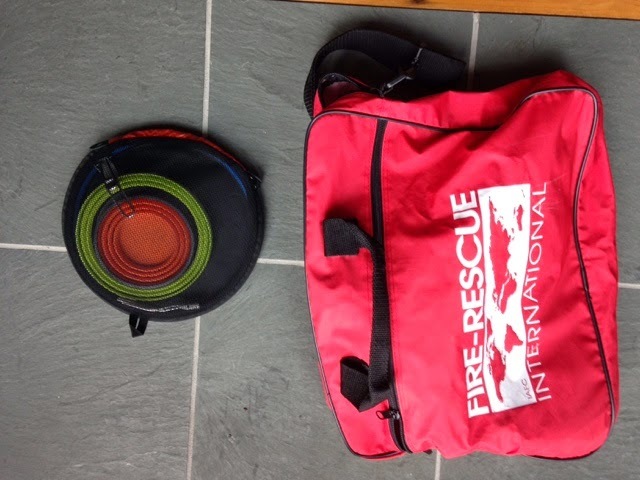 The backpack kit holds folding flipper, tongs, and scoop. A small cutting board a pan scraper, and salt and pepper. 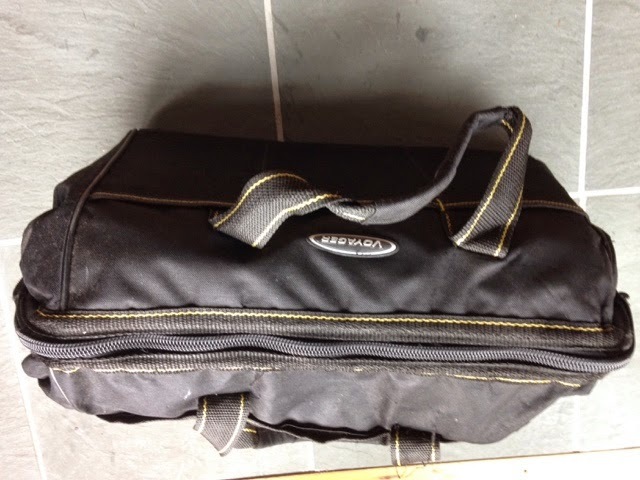 This and the larger tool bag I used contain supplies for cooking. 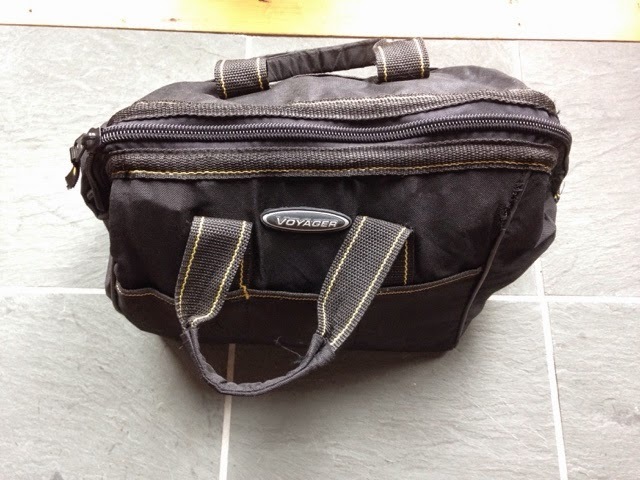 This bag is used the least. The large tool bag had a roll of paper towels, spare roll of toilet paper on top. 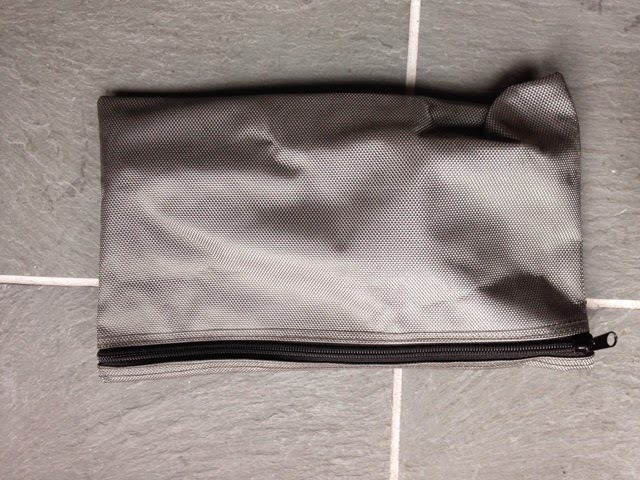 The smaller bag contains what I use the most. 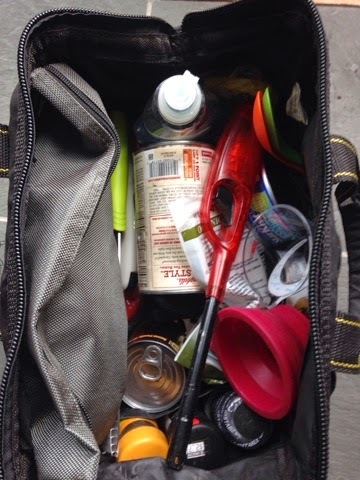 I have the gray zippers bag as noted below, dish soap, scouring pad, measuring cup, collapsing funnel, can opener, hot mitten, seasoning, lighter, and some canned goods. 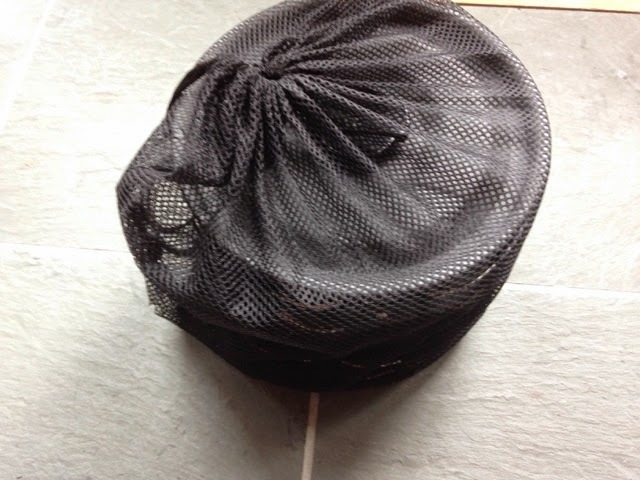 This bag made it nice to put utensils in so they were not floating around the bag. 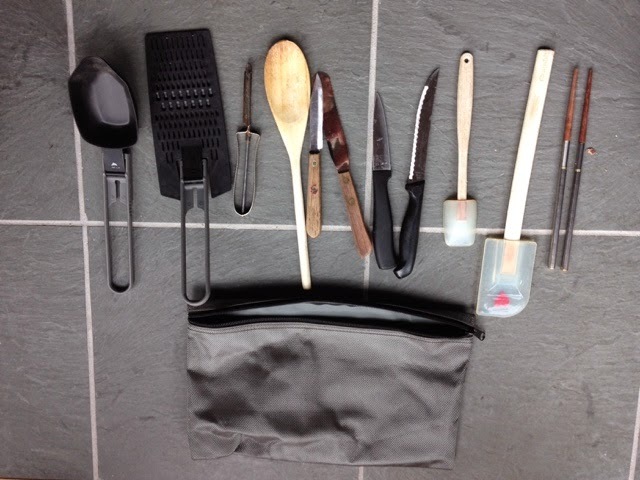 Some more collapsing cooking tools, small knives, collapsing chopsticks, etc. I didn't have room for a large shovel but i did for this one. 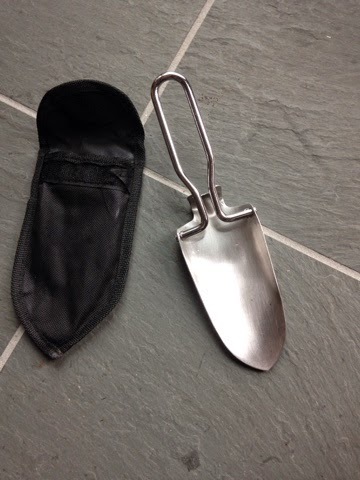 It is a small folding shovel. 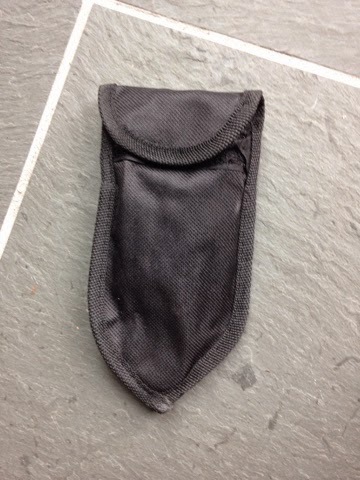 I didn't use it but I would bring again. 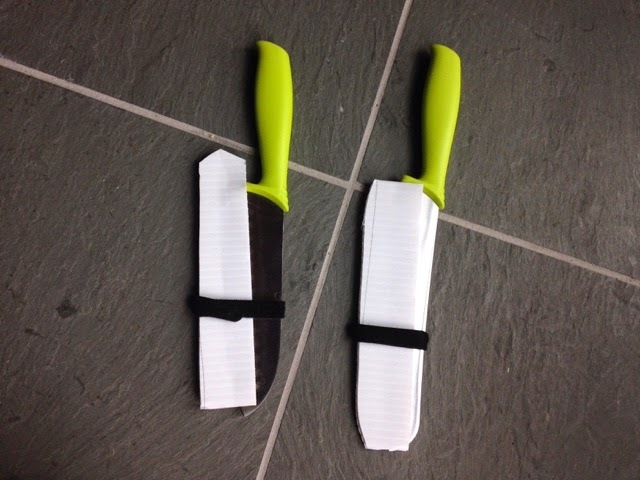 Two very sharp knives. Only needed one and the white is corrugated plastic that keeps the blade safe. 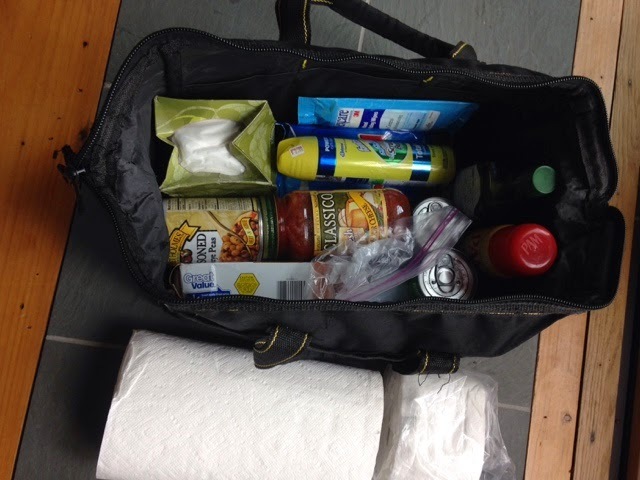 This was my dry goods and snack bag that I kept up front with me. I kept crackers, cereal, snack bars, etc in this bag with this collapsing dining set. Boxed items like cereal before leaving the store parking lot I would open the box and take the contents and put into a ziplock bag. 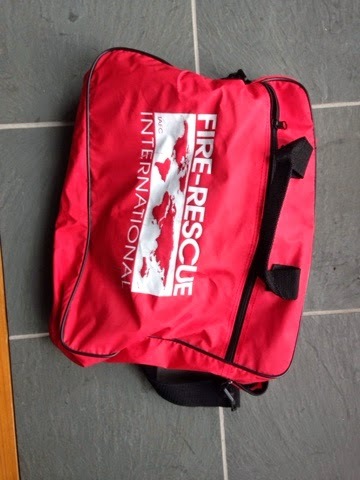 This made storage in the red bag better and kept the contents fresh. 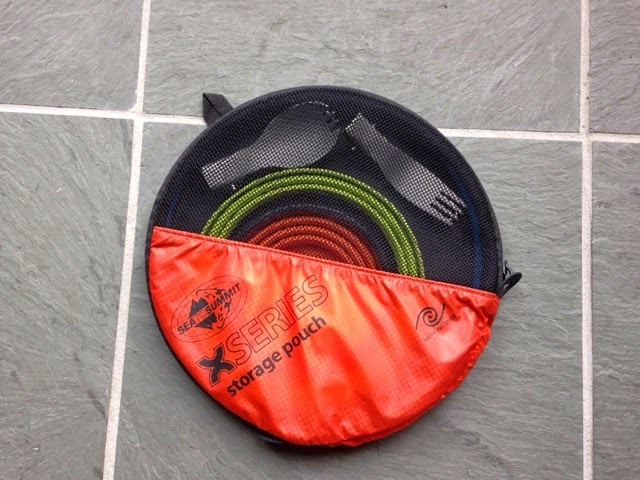 The collapsing dining set and collapsing fork and spork fit nicely in the supplied MES bag to keep everything together. Living in a small space the kit was nice for storage. 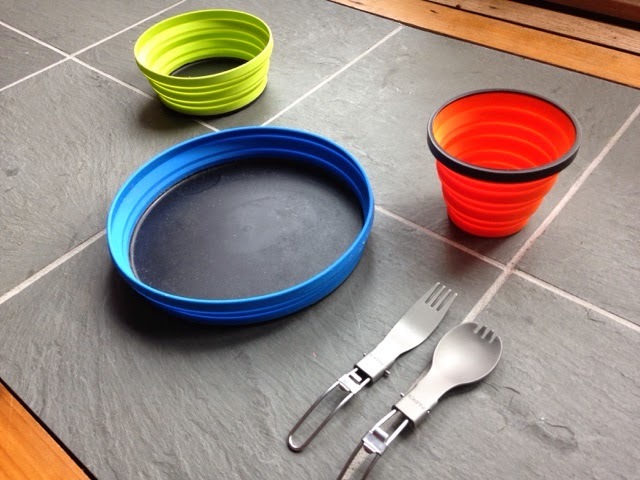 The collapsing dishes worked very well. 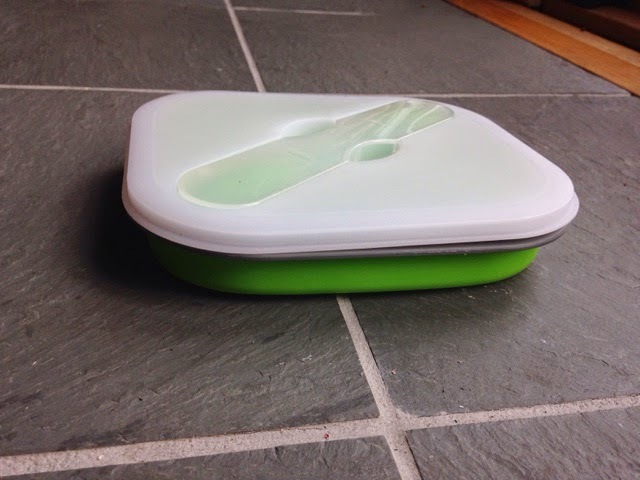 I picked up this collapsing bowel in Walmart and for the price it is great as you can use it for cereal or salad and it comes with a stored spork. 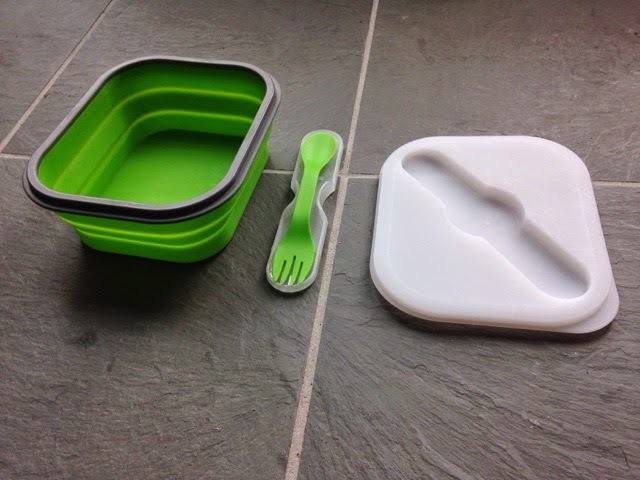 The collapsing dining set has a hard plastic bottom so you can cut meat on it. This one is soft plastic so no cutting. When cooking in the Prius I did not use the stove, although possible I did not feel comfortable with the open flame in the small space. 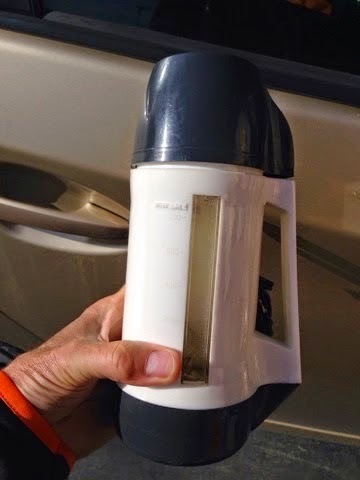 I did find boiling hot water with the 12 volt heater allowed me hot food items like instant oatmeal and mac & cheese single servings where you just add water. 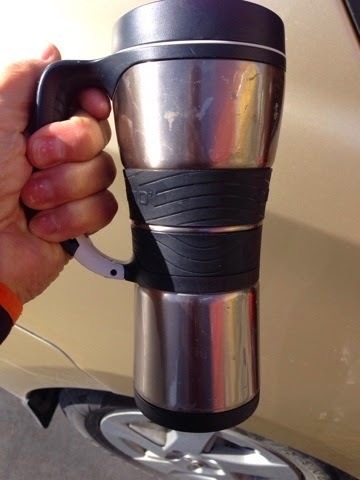 This thermos mug worked well for cooking 2 hot dogs by putting the hot dogs in the mug and adding boiling water and closing for 10 minutes. I tried cooking rice in the thermos mug but it didn't work for me. I need to try instant rice next time. The stove and the spare butaine was stored in the trunk under the refrigerator. The cooking set and two bags were under the bed. 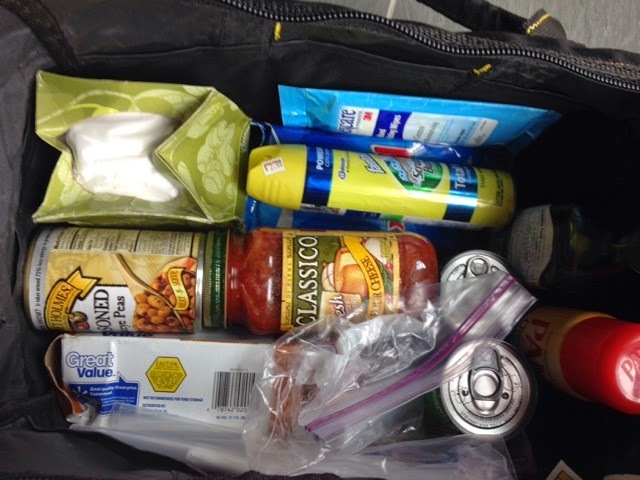 The shape of the bags did a better job of space utilization. 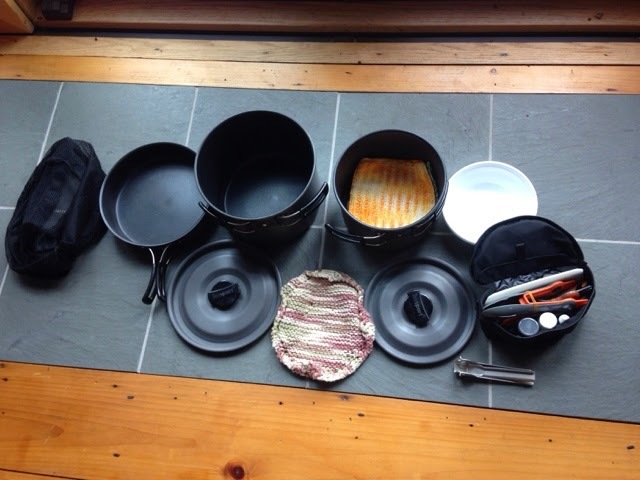 If I was to cut down on some items I carried I could get rid of some utensils and the small pot. I didn't use the small pot as I bought canned vegetables in the single serving cans so I just opened the can took the paper label off and set the can on the burner to heat. There was no reason to pour contents in the pan only to dirty it. If I made some serious decisions and store some items where the small pot was I may be able to get down to one large bag. Thus, making room for some clothing and saving space elsewhere. 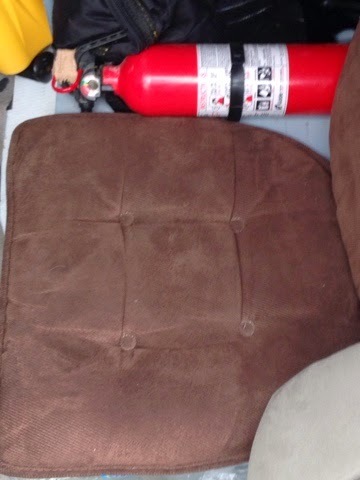 I had a fire extinguisher that was held to the seat I made behind the driver. It was available inside or by reaching in from the outside. There were not too many options for the extinguisher so it would be available and not in the way. I was searching your site via Google trying to find out "What do you do with waste water, either from cooking something like pasta or from cleaning dishes?" I covered gray water here my girst year and I do the same today. Your question is deserving of a separate post.